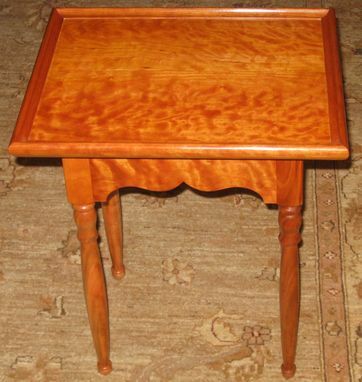 This simple table was built for a customer to go into a narrow space next to her sitting chair. 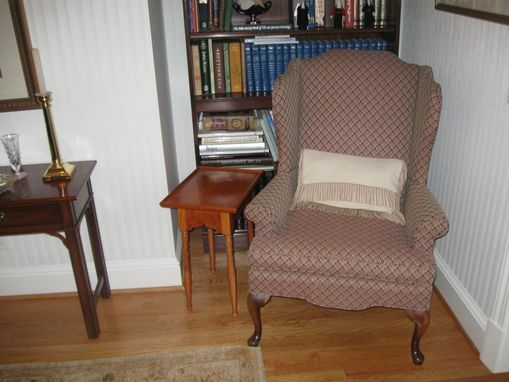 The design is country or plain with stylings from the late 18th century. 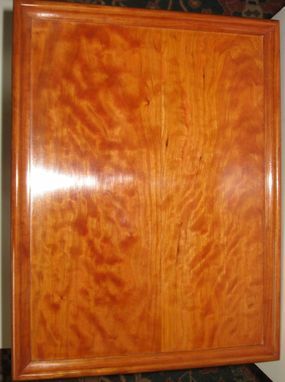 Curly cherry is used to add interest to the design. 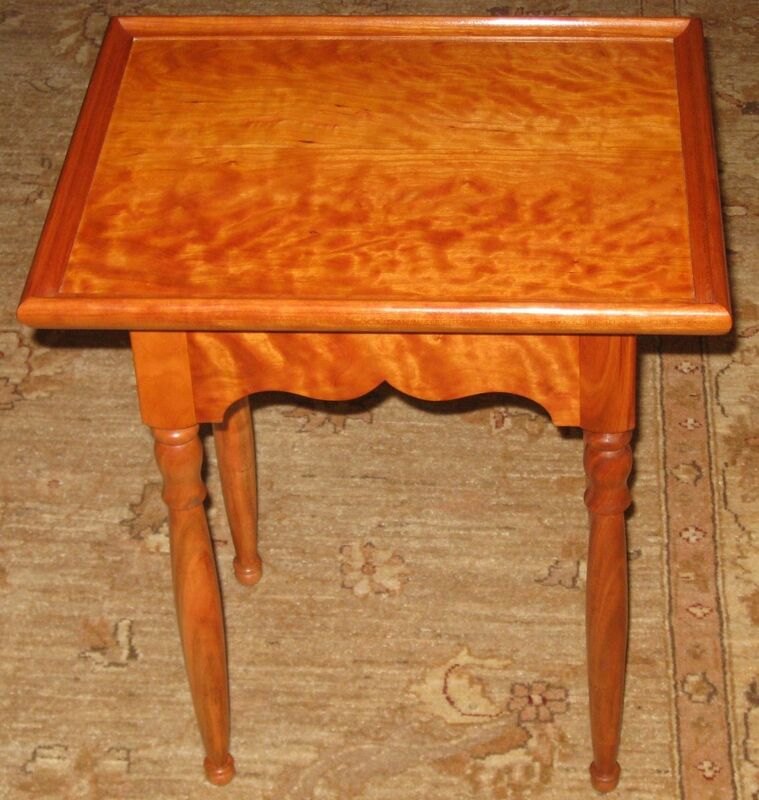 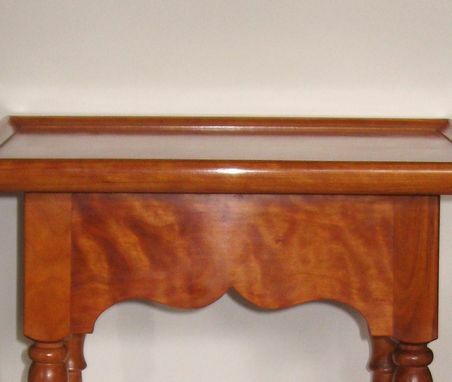 The finish is shellac wax, and a french polished top.